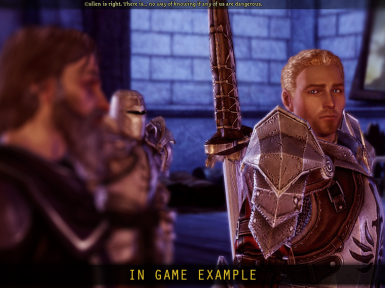 credits to dracomies, marquiseondore, and pineappletree for their amazing mods! i am but a lowly head morphing addict compared to the Modness. *UPDATEE 2015/01/11* FIGURED OUT EYE PROBLEMS. Thanks to someone really cool in the comments section, we've figured out why the eeyes were getting messed up in the original and brown eyes version of the morph files. The Realistic Teeth mod, which I once put as optional, is now required for it to work. The full credits can be found at the readme text, and I will put the link in below once I get to my computer later today (I'm on mobile right now sorry). I will also reupload the .mop file because apparently the nose is all wonky. I'm really sorry for not having updated sooner, but I hope everyone had a grea winter/summer vacation! hanks to someone cool *UPDATE 2014/12/12* ADDED .MOP FILE FOR CC PRESET Someone asked to have this as a character preset so here ya go! Hopefully it works, but hmu if it doesn't. Also reminder that you can tweak the .mrh (uploaded earlier) if you want, and export it from the toolset as a .mop directly. When installing the .mop, you will have to add the file's name to your chargenmorph.xml file manually. If you have any questions, feel free to message me or comment. 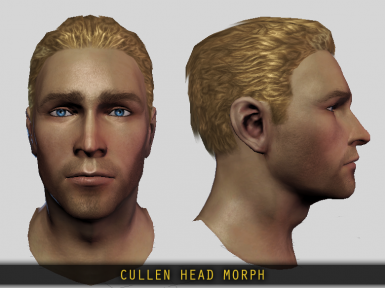 *UPDATE 2014/12/09* ADDED DEFAULT EYED CULLEN AND .MRH FILE Some people were having eyeless Cullens and I don't know how to fix it so a file with default hazel eyes has been uploaded. 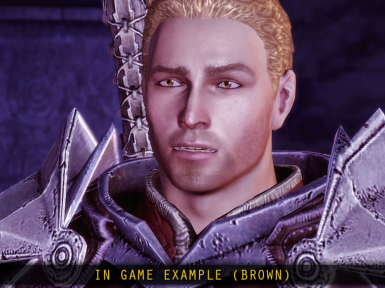 It looks more or less the same as brown eyed Cullen. I've also added the .mrh file so you guys can further deform his face and finish what I started >:^). All I ask is that if you're going to change it and then reupload, attribute me. Or don't, thanks anyway. Also a big thanks to the people who pointed this bug out! I'm not entirely sure why it does that, but my guess is that the .mmh for hm_uem_lotcs7_0 is missing from the register or... yeah I'm not even going to get into it. 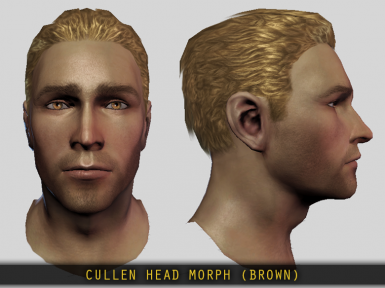 *UPDATE 2014/12/05* ADDED BROWN EYE COLOURED CULLEN Wtf is Cullen's eye colour supposed to be? 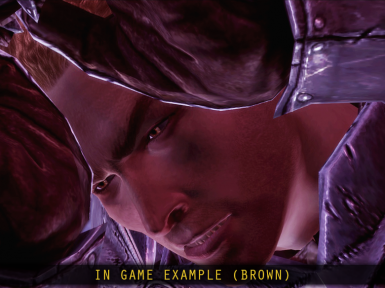 I can't tell, I'm too broke to buy Inquisition. 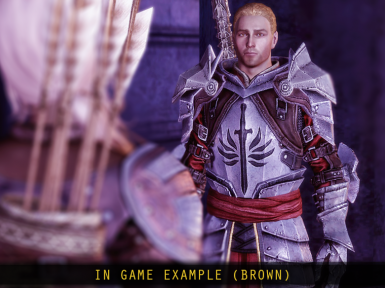 Dragon Age: Inquisition is set 11 years after the events of Dragon Age: Origins and yet our favourite (or not favourite, take your pick) Circle Templar looks like he's de-aged! There must be something in the lyrium (YIKES). 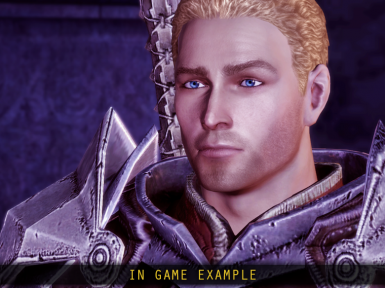 This head morph is here to solve your crusty, bitter, old Cullen problems with a look inspired by his appearance in Dragon Age: Inquisition. This is one of my first morphs so it would be great to get some feedback! Comments that can help me improve on the likeness of the character (e.g. "WTF is THIS THEIR EYE COLOUR'S NOT RIGHT!!! IT SHOULD BE BLAH! ", or "their nose is the wrong shape, try blah") is greatly appreciated.